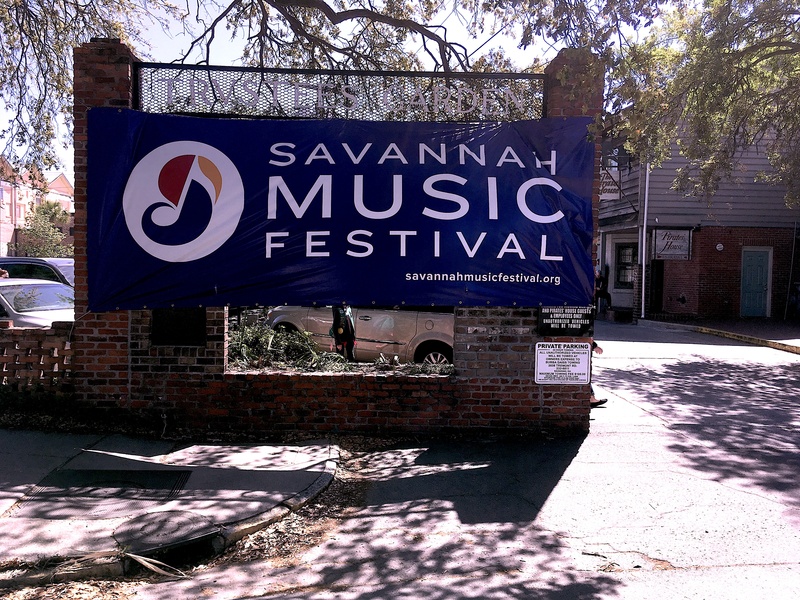 We made a day visit to Savannah this week for its music festival (currently running there until April 14th). 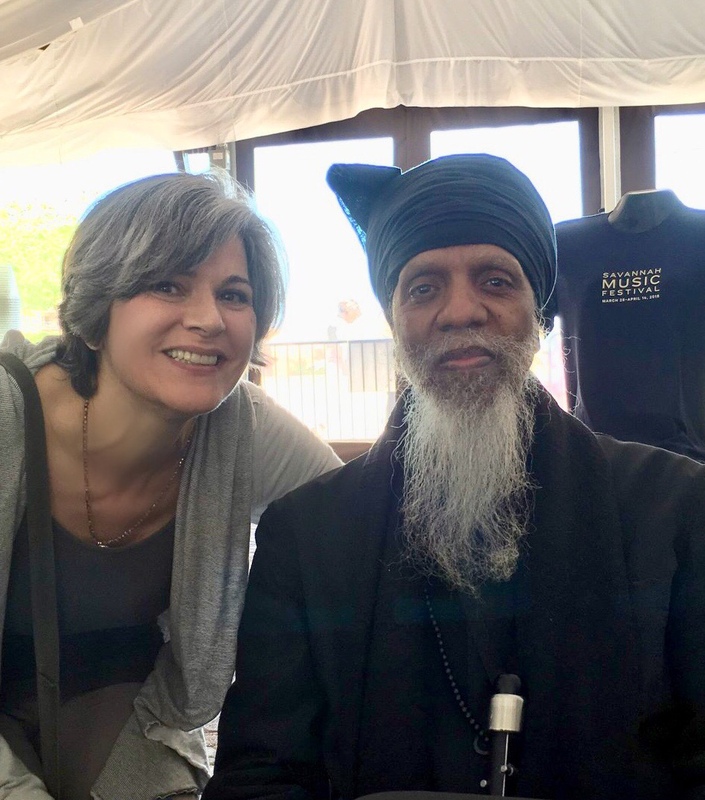 One of my favorite jazz artists is Hammond B3 organ great Dr. Lonnie Smith, and he was appearing with his trio for two evening performances and one earlier in the day. Although the lure of seeing other artists and staying overnight was tempting, we decided to be economical instead. Savannah is just under three hours from St. Augustine. Once you go either straight through or around Jacksonville, it’s a straight-shot up I-95 and then a very short hop into the city from I-16 in Georgia. 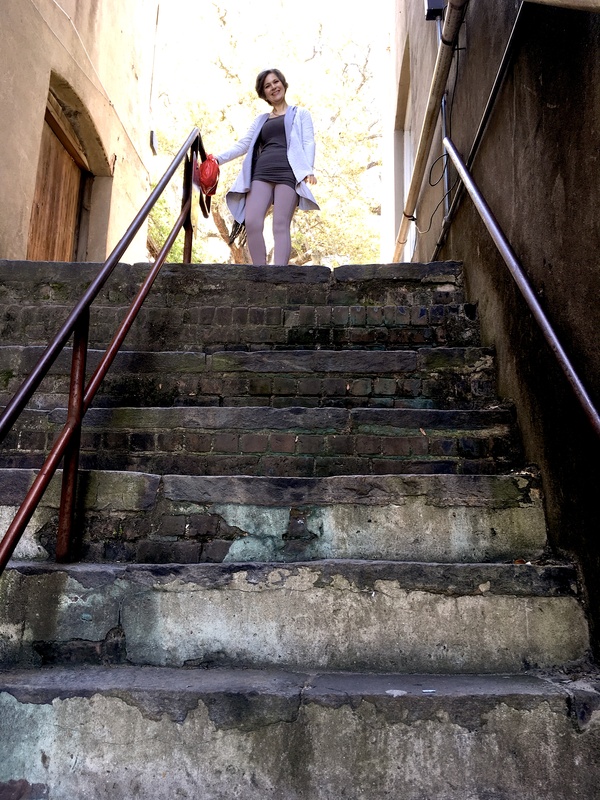 We arrived a little over two hours before the afternoon performance, so we quickly headed to Savannah’s Historic District and the River Street area in particular. Although the more touristy River Walk area with its shops and restaurants is fun to stroll for kitschy souvenirs and food you don’t eat at home, we had already done that on an earlier visit. So this time we only made a cursory “how-do” visit to it before going back up to explore the shops and areas on Bay Street. 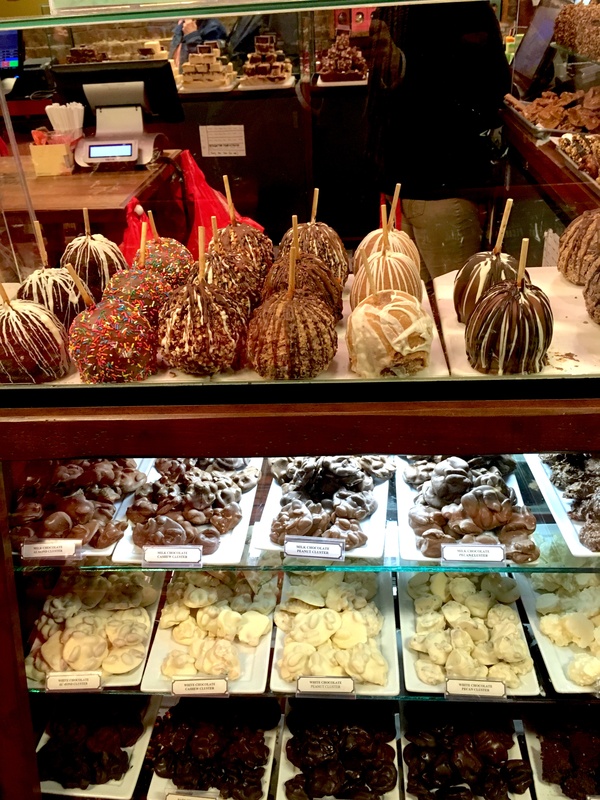 But first, a “required” visit is made to a local favorite, River City Sweets. The problem with stopping here is that things mysteriously get placed in shopping bags and are brought back home. There are numerous ways to get from the River Street area back up to Bay Street. 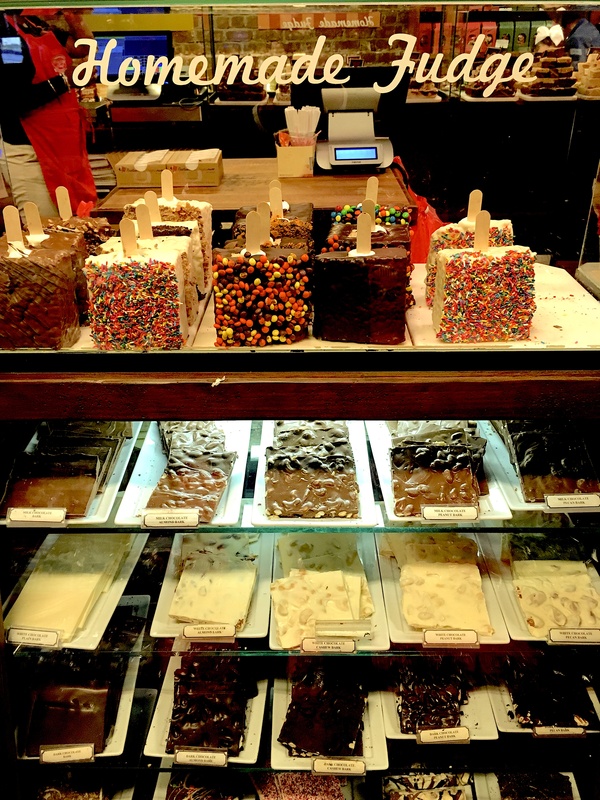 We chose the hardest, which I suppose is a good thing given our visit to the candy store. 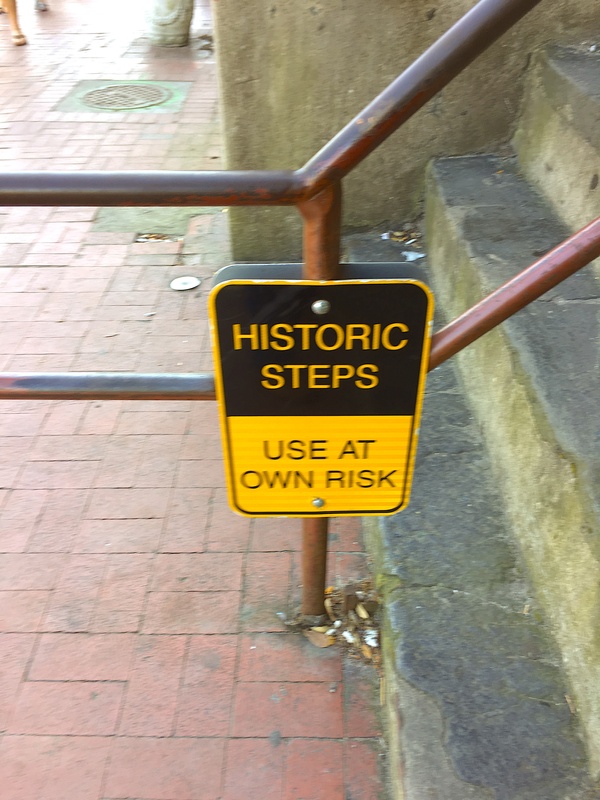 But man, these steps are steep. One of us got there first. I could have done without that self-satisfied smirk of hers as I panted my way up to the top. Nobody likes a show off. 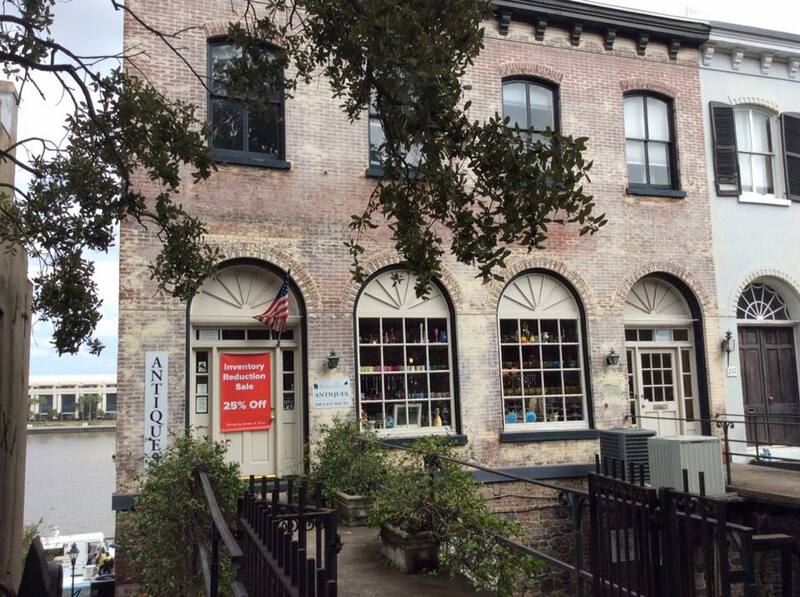 We found a really cool antique store up on Bay Street: Southern Gents Antiques. They have an interesting assortment of southern vintage, a bit of kitsch, and the most beautiful plants for sale. Time unfortunately was running short because we had to get to the music venue for the concert, so we couldn’t stay there long. We will return to this store on another return visit. They don’t have a web site but do have a page on Facebook. It was a great show, and I fulfilled a long hoped-for desire to see the good doctor. 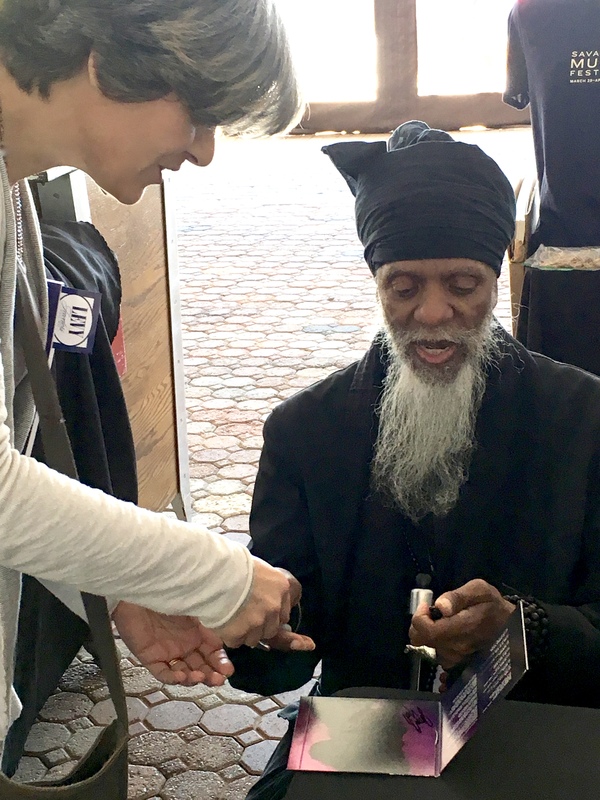 Fun fact: Lonnie Smith chose to be a “doctor” simply because he liked how it sounded. You gotta love jazz artists. After the show it was a thrill to meet him and ask him to sign his latest CD. Once again, I could have done without the smug expression I received for the rest of the day because only one of us had her picture taken with the man. That sounds like so much fun! We visited Savanna several years ago but I’d love to get back there one of these days. I’m thinking that Gorgeous gets quite a few opportunities to display her self-satisfied smirk, right? Yes! Such a show off. We love it there, and have already decided to spend our next anniversary there. Great town, great vibe. Sounds like a fun place. I’ve never been there. Gorgeous deserves to be smug if she hopped up those steps! It’s true, I did actually call her a show off when I got near the top! Yes and all old men prefer to have their picture taken with a gorgeous woman than a grizzly man. If you love the B3, get yourself an album by Jimmy Smith called ‘House Party.’ I love that stuff. Those small venue shows are the best. Man, I am *through* with stadiums and hockey arenas. I always end up in the back, anyway. It’s all I can afford. I like to see the musician’s hands on the instruments. Yeah, THAT close. Jimmy was the king, that’s for sure. I could kill myself for being such a jerk and tossing my old vinyl when CD’s came out. I didn’t have ‘House Party’ (thanks for the suggestion), but I had one or two others. Now I have to re-build the collection again, which I suppose has some element of fun attached to it. I agree with the whole stadium thing. I appreciate the intimacy of the small venues now for the same reasons. You can actually SEE the musicians. I love Gorgeous’ attitude. 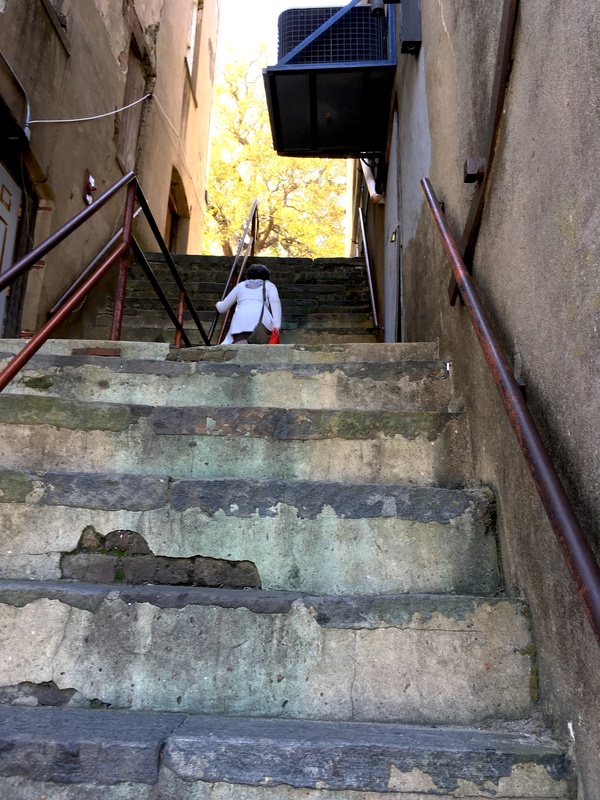 And man…those stairs look steep!! There was an elevator not 100 feet from them! Love “Doctor” Lonnie and his beard. Sounds like a great day. Shame they don’t have a stair lift for those steps! For some reason I just thought I’d never see him, Bruce. He always plays in clubs in places I never visit, so I figured he’d be that mythical figure I had to listen to via recordings or YouTube. I’m so glad we had the opportunity. Those stairs were a challenge! Too much fun. Sounds like you’re hooked on concerts now. I visited Savannah when I was pregnant with Jessi, and gave her the middle name Savannah. Thank god I didn’t pass through Ugley, England while pregnant. Gorgeous, however, is aptly named even though it’s not her birth name. I love that last shot of her so much that it just threw it in there in a gratuitous manner. I have to give her credit on this one concert. Unbeknownst to me, she had been checking Dr. Lonnie’s website for the better part of three years following his tour schedule. When she saw he was appearing so close, and in a place she loves to visit, she jumped at the chance to go. 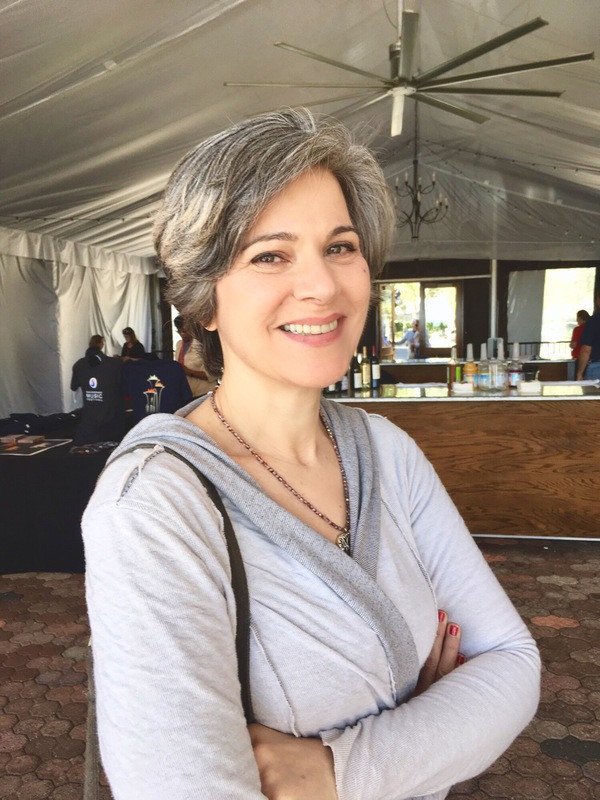 I was grateful to her. Those steps looks dangerous. Don’t think I’d be able to climb them with my short legs. My wife uses the stepper machine at the gym, so for her it probably wasn’t as big a deal. My problem is that I don’t have the greatest knees anymore, so it was somewhat slower-going for me. I actually did call her a “show off” when she reached the top so quickly. Uhuh I would struggle my knees are not too great either climbing stairs of the hospitals all these years. Great piece Marty. And Gorgeous is aptly named. Love, love, love Savannah, and plan to visit when we’re down south. My husband’s friend from college lives there and performs in a band with his wife, so hopefully we’ll catch some of the local music scene. I bet you wish you spent the night. We did wish we had spent the night, but we decided we’ll go back for our anniversary in December. You’re fortunate to have friends who live there. I adore Savannah. We’ve visited there twice and your photos make me want to go back right now. 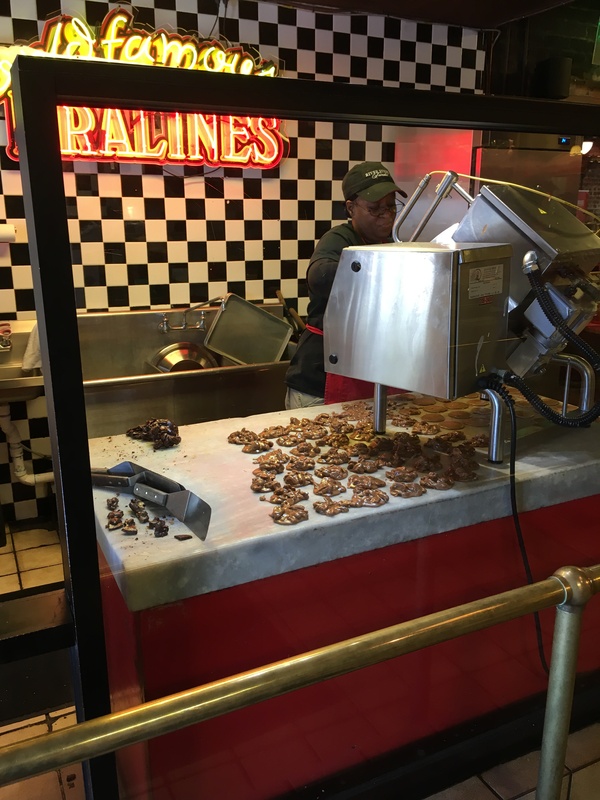 It has such a low-key vibe and friendly people. I’m glad that you got to spend a day there. What fun! I need to find a spare weekend to make the drive to Savannah. 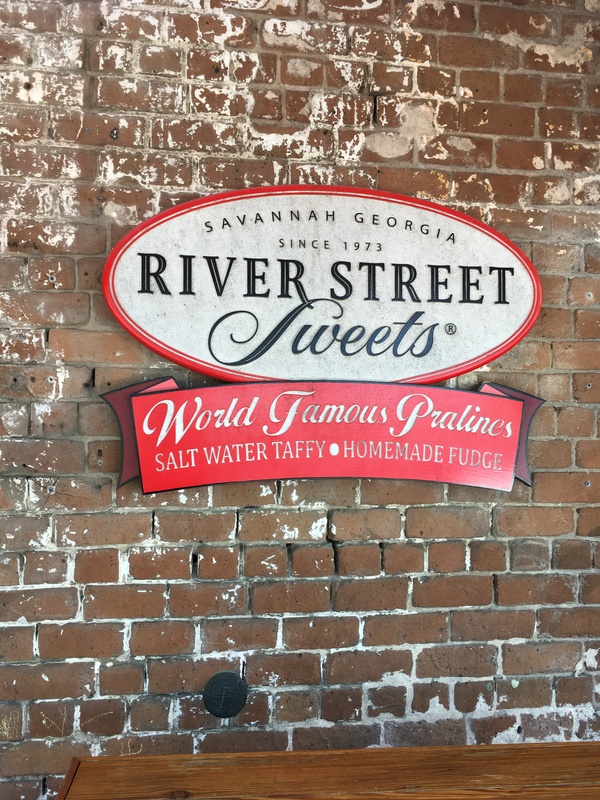 I’ll avoid River Street Sweets, though. Maybe. Marty, Savannah looks great. I will have to add it to my travel wish list. My brother-in-law Tom Moore played keyboards for the Moving Sidewalks in the 1960s. 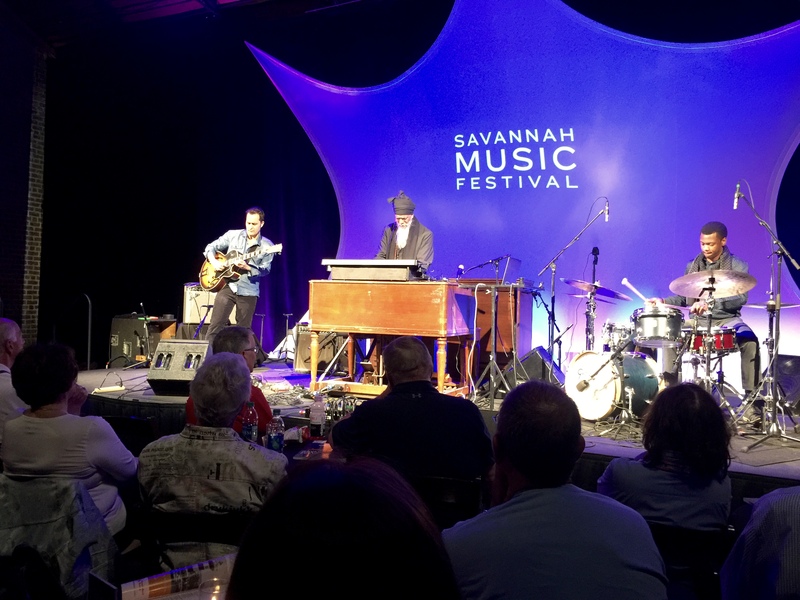 At the end of their sets, he would stick matchbook covers between the keys of his Hammond B-3 so that an E chord would continue to play as he left the stage. When Tom was drafted and went off to Vietnam, their guitarist Billy Gibbons went on to ZZ Top fame, and Tom came home and sold seamless gutters in Houston, Texas. Wow, what a great story, Joe. Tom is obviously the unheralded precursor to Keith Emerson’s knife blade in the Hammond. Let it be known we broke that news here on Snakes in the Grass! 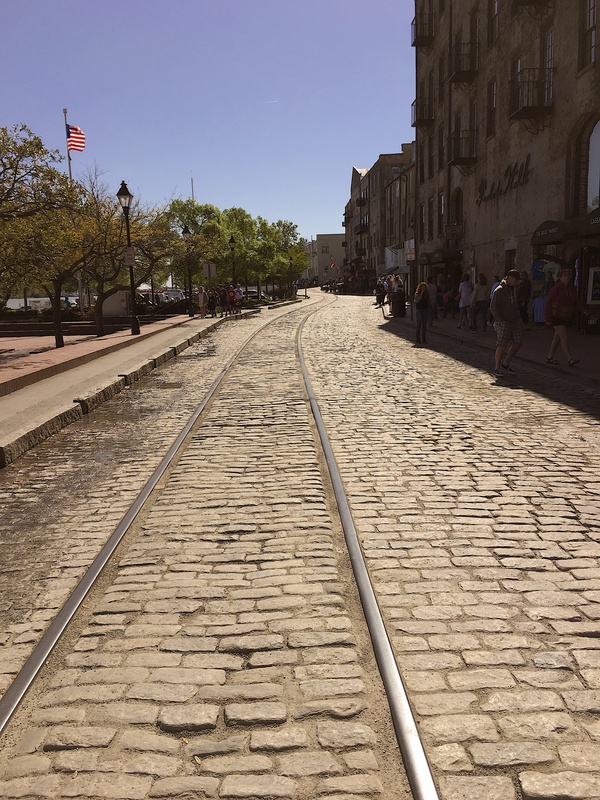 Savannah is a great town, and we haven’t really been scratched the surface of it yet. Lots of cool-looking neighborhoods with great homes.